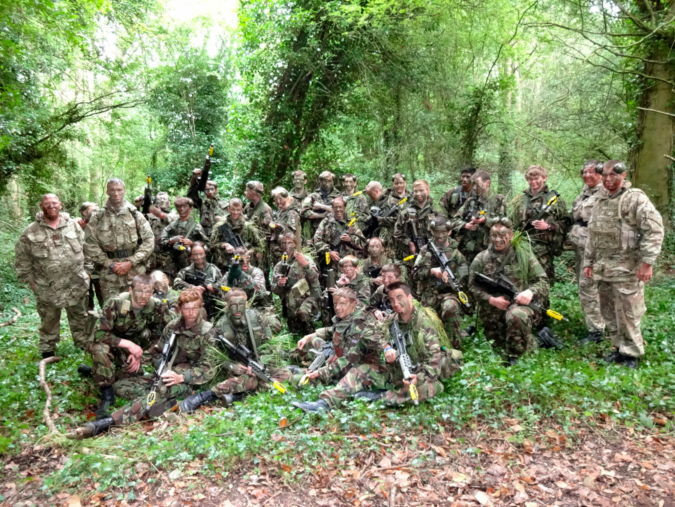 This year, Cambridgeshire ACF were fortunate to have Sywnnerton Training Camp near Stafford, for Annual Camp. Training programmes were conducted through Junior, Intermediate and Senior Cadres. No 2 (Cromwell) Company, ran the Senior Cadre package supported by Officers and AIs from No1 (Hereward) Company and No3 (Ironside) Company. The senior cadre was split into 3 Platoons. 1 and 2 Platoons focussed on field craft. 3 Platoon initially deployed on a 3* expedition in the Peak District National Park and later in the week donned uniform to become enemy for the other platoons. Cadet Colour Sergeant Price and Cadet Sergeant Murphy had the demanding opportunity as, respectively, platoon commander and platoon sergeant. The final exercise was held over three days and was implemented to give the cadets the most realistic immersive experience; enabling them to be tested, safely, to the limits of their knowledge and abilities. To best accomplish this, the adult staff were utilised solely as safety and had very little input into the implementation of the final plan, leaving the cadets to plan their strategy to complete the specified mission. The orders for the exercise were passed down from Company Commander to the Cadet Platoon Commander who was then responsible for passing the orders down to the Section Commanders. The Intermediate Cadre also deployed into the field overnight exercising in harbour drills, and patrols, as well as fire and movement. Later in the week the Cadre enjoyed two days on the nearby full bore Kingsbury Ranges. Activities for the Junior Cadre included a night navigation exercise that tested the skills they had learned; many tired individuals found their bashas very welcome that night. The Junior Cadre also visited The National Memorial Arboretum and found the memorial to soldiers shot for cowardice during World War particularly poignant. The cadets also participated in air rifle shooting, paintballing as well as drill, and march and shoot competitions.